Sometimes in music you see a combination that sounds odd, but somehow works flawlessly. Malcura are a band that are a shining example of that, combining the technical ability of Flamenco with the in-your-face attributes of rock. An acoustic trio who’ve earned their stripes busking in Melbourne’s Bourke Street Mall, Malcura have refined their sound and created a vibe that is a complex meld of Flamenco instrumentation and Latin structures with a rock’n’roll approach. Their breakthrough came when they attracted some world wide attention with their rendition of Daft Punk’s “Get Lucky” which functioned as a good foundation for their debut album in 2016. 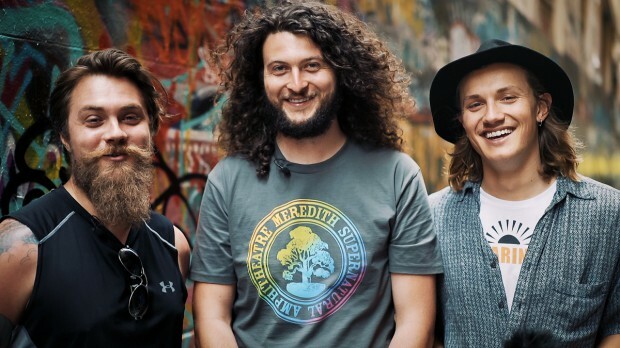 Their self-titled debut record launched at the Fed Square main stage in February of 2016 which was closely followed by two East-Coast tours and busking performances in support of the record. The album received critical acclaim and was nominated as 2016′s “Best Global/Reggae Album” at The Age Music Victoria Awards. Malcura are a workhorse of a band with an impressive gig history under their belt including Illawarra Folk Festival (NSW), Wallaby Creek (QLD), Bendigo Blues and Roots, St. Kilda Festival and Tanglewood NYE Festival, not to mention they’ve performed along side Tijuana Cartel, Tash Sultana, The Pierce Brothers, Clowns, Kenta Hayashi (Japan), Dallas Frasca; and Mexican guitar heroes Rodrigo y Gabriela on stage at the Palais Theatre which was met with outstanding praise from gig goers. The band’s upcoming second album is currently in production and will likely deliver an unprecedented energy accompanied by outstanding technical performances. But while you wait for the new record, why not see them live? Malcura are out on the road and you’ll be able to catch them in Warrnambool at one of Forté’s Favourite venues, The Loft on Friday December 21.